For 4 people, in a quiet dead end, access to the beach by bike paths. Located about 2 km from the beach of St. Vincent on Jard, approx. 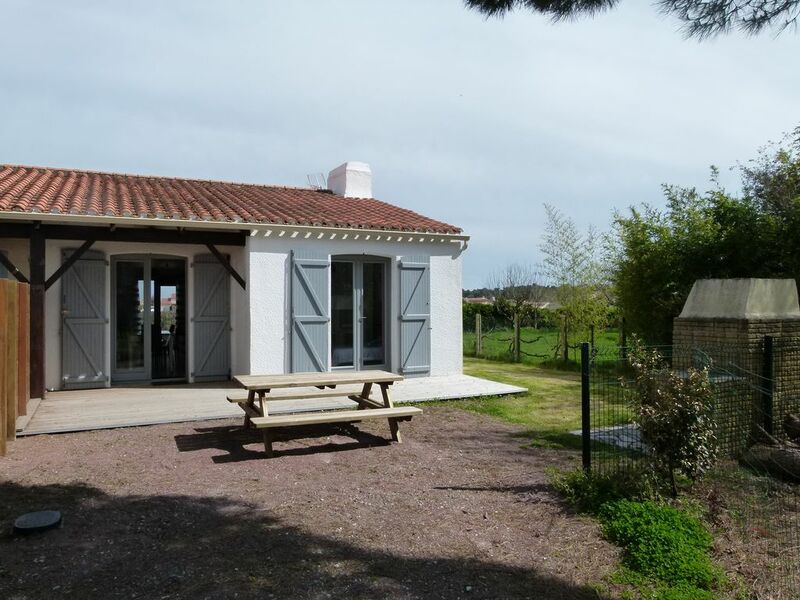 1 km from shops Jard sur mer, DETACHED HOUSE composed as follows: entrance from the living room, with its sitting area (sofa and TV), a kitchenette with equipped kitchen and incorporated (fridge with top freezer, microwave, hob, oven, etc ...), a sitting area. From this room access to a room with 1 bed 140, a second with 1 bed 140 bunk bed with a 0.90, a bathroom with toilet (washing machine). the seating area access to lawn garden with garden furniture and barbecue. ** Home with stylish decor. A noter : en TBS le chauffage est en sus (sur relevé).